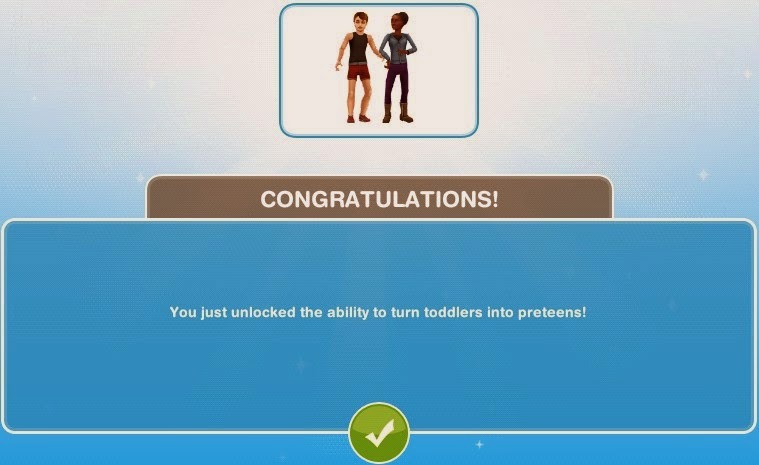 Preparing for Preteens: Unlocked at level 13 to unlock the ability to age Toddler Sims into Preteens. There is no time-limit for this quest and no reward! (Wow, this bookshelf is stocked full of all kinds of great books for your preteens! Hmm, this one looks interesting: ‘Harriet Putter & the Greenkeeper's Crystal’. It’s in the new Preteen Bookshelf. (Nice moves! Okay, now that we’ve got the trampoline ready, you’re going to need some snacks. Preteens LOVE snacks. (With all that trampolining and snacking happening, you're going to need a way to calm those excitable Sims down. A nice relaxing movie would be just the thing. Better screen one for content first. (There are some who claim the statue in the park - the Thinking Man – knows absolutely everything in the universe. Long ago, a scientist carbon dated the statue and found that it not only predates the big bang, but it was the first to use the word ‘owned’ in a GIF. 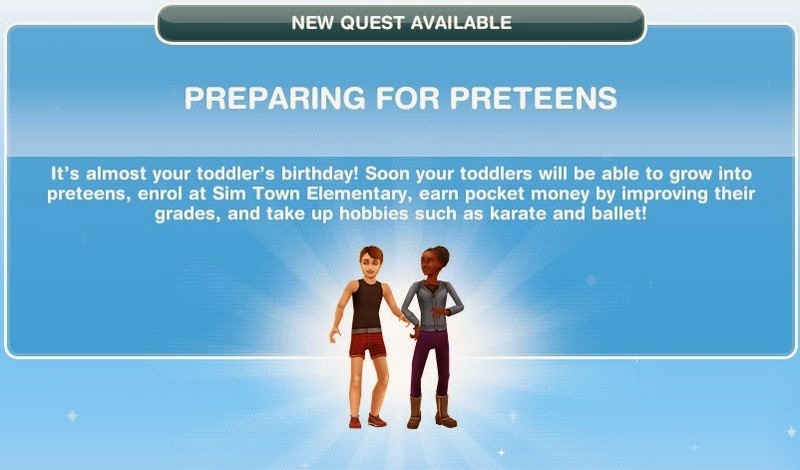 Wow, your Sim should really ask it about preteens. 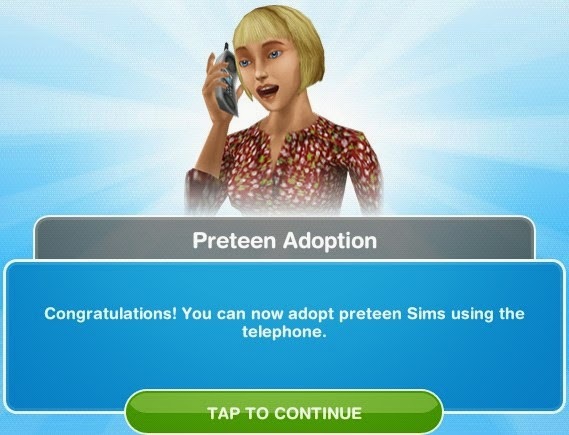 Please note: Adopting costs REAL money, above level 26 Sims will automatically age (and die) and can be replaced by having a baby. Money spent on adoption will not be refunded!